SnapCacklePop: Introducing City Calm Down..! 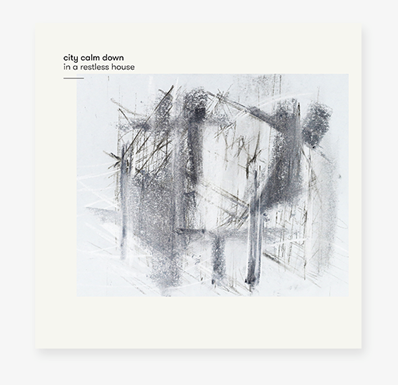 Melbourne Indie Rock/Pop group City Calm Down took three years to make their latest album In a Restless House and this well-crafted musical creation is one you will want to play over and over again. 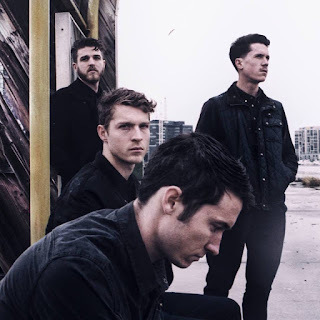 Lead singer Jack Bourke makes full use of his baritone vocals from the broody Nick Cave-esque Border on Control to the gentle and soulful If There’s A Light On and offers soaring choruses throughout the album including on the single Son. The stand-out track is Your Fix which starts off sounding like a song Joy Division would have made (if their career had not been so tragically cut short) which then builds into an amazing chorus – with this song City Calm Down have shown how skilfully they can combine post-punk indie-rock with pop sensibilities to create a song that is both catchy and a theme song to a life. Why is this not a single? This whole album is a staple of the SCP office for rainy days or country roads. It’s a complete musical journey from Intro through all 11 tracks. It flows from moody depths to soaring heights and the whole thing is tied together by the heartbreaking and engaging voice of Jack Bourke and the uplifting and exquisitely crafted synth hooks. Other highlights include Wandering, Run Rabbit Run and the title track In a Restless House. Sounding sometimes reminiscent of Britpop indie bands in their heyday, City Calm Down (although listing Centrelink as a musical influence?) obviously draw on their influences to create a musical sound that is quite their own: as much drawing upon the genius of Joy Division, the lyricism of Badly Drawn Boy as the creativity of David Bowie. This is an album that is worth many plays all the way through – you won’t want to skip a single song – perhaps because as song-writers what this band has created here never bores but constantly changes and rewards the patient listener with iconic riffs and a deeply soulful delivery. Catch City Calm Down at their upcoming tour dates in Sydney, Brisbane, Adelaide and Melbourne in April 2016..!